St. Augustine, the oldest permanent European settlement on the North American continent, is affectionately called the Old City. Don Juan Ponce de Leon discovered La Florida, the “Land of Flowers,” in 1513 for Spain, and roughly fifty years later, Spain made a serious attempt at colonizing Florida by dispatching Don Pedro Menendez de Aviles to the area. Menendez arrived off the Florida coast on August 28, 1565, the Feast Day of St. Augustine, and soon the fledgling colony of St. Augustine was established. Near St. Augustine, the Matanzas River empties into the Atlantic, flowing past barrier islands named Anastasia and Conch. On the northern end of Anastasia Island, several towers have been built through the years overlooking the inlet that leads to St. Augustine. Early on, the Spanish constructed a wooden lookout tower. Later, a more permanent tower was built using blocks of coquina that was formed as large deposits of shells were cemented together over time by calcium carbonate. Spain ceded control of Florida to the English in 1763 to regain control of Cuba. However, under the 1783 Treaty of Paris, control of Florida was returned to the Spanish, who controlled Florida until they relinquished it to the United States in 1821. 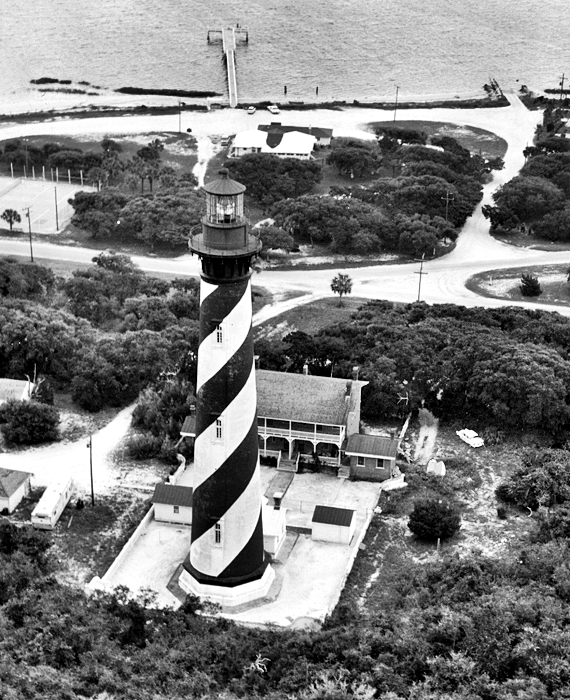 As St. Augustine was the leading port in the newly acquired Territory of Florida, the U.S. Government worked quickly to establish a light to mark the inlet. 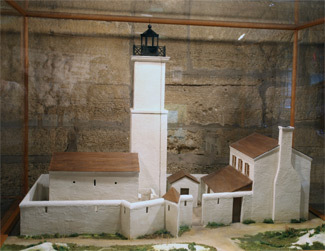 John Rodman, the customs collector at St. Augustine, proposed that the old Spanish tower be converted into a lighthouse, and Congress appropriated $5,000 on March 3, 1823 for performing the work. With a height of roughly thirty feet, the modified tower was placed in service in 1824. Juan Andreu, a Minorcan, was paid $350 a year to care for the lighthouse and tend the ten oil lamps, set in silver, bowl-shaped reflectors. 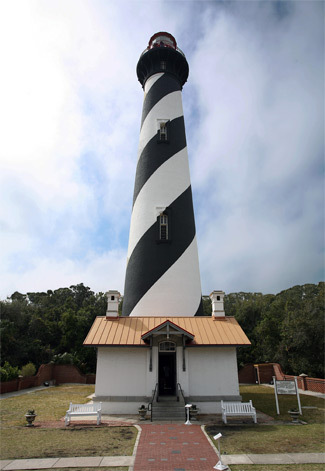 The lighthouse was outfitted with a fourth-order, revolving Fresnel lens in 1854, and by this time the height of the tower had been increased to over fifty feet. In 1859, Joseph Andreu, son of Juan Andreu and the fourth head keeper of the light, fell sixty feet to his death when the lashing of the scaffolding gave way while he was whitewashing the tower. Joseph’s wife, Maria Mestre de los Dolores Andreu, took over as keeper and served until the light was extinguished shortly after the outbreak of the Civil War. Joseph Pacetti, a Confederate soldier, was wounded while removing the lens from the lighthouse so that the Union forces could not take advantage of it. After a new lens and lantern were furnished, the tower was reactivated on June 1, 1867, but by that time, it was clearly evident that erosion was endangering the lighthouse. On July 1, 1870, the distance from the keeper’s dwelling to the high-water mark was seventy feet, but by November the distance had shrunk to just forty feet. 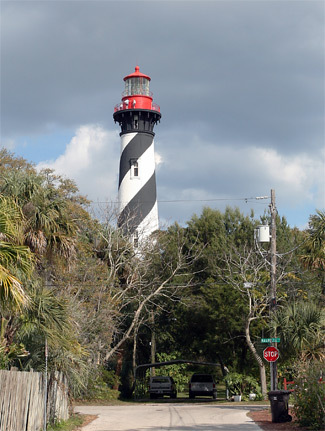 The Lighthouse Board determined that a new lighthouse was needed, and a five-acre tract, located a half-mile inland, was acquired after old Spanish land grants and claims of settlers were straightened out. Plans for the new lighthouse were drawn up by Paul J. Pelz, chief draftsman of the Lighthouse Board who would later be one of two architects responsible for designing the Library of Congress. Construction on the lighthouse began in late spring of 1872 using $60,000 provided by Congress on March 3, 1871 and $20,000 added in 1872. The walls had grown to a height of just a few feet when these funds were exhausted, forcing work to be suspended. An additional appropriation of $25,000 on March 3, 1873 allowed the work to continue, and the lighthouse commenced operation on October 15, 1874. During the first month the light was active, a flock of ducks flew into the lantern room, breaking three panes of glass and slightly damaging the lens. A wire screen was promptly placed around the lantern room to prevent similar incidents. 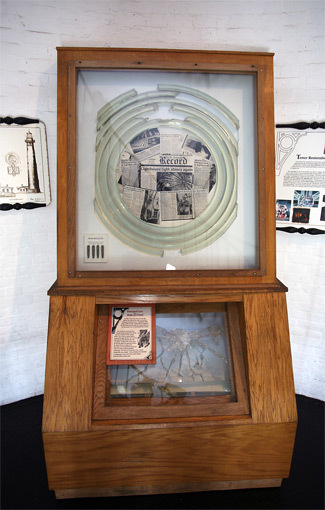 The tower was built using brick from Alabama, granite from Georgia, iron work forged in Philadelphia, and a first-order Fresnel lens crafted in France. 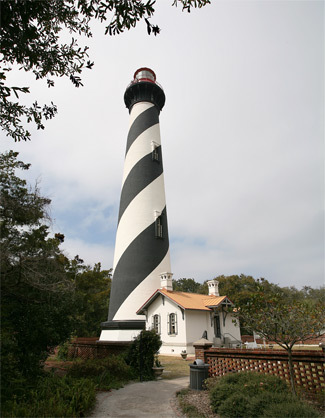 The revolving lens producing a fixed white light, varied every three minutes by a white flash, at a focal plane of 165 feet, and the tower was painted in distinctive black and white spiral bands, the same daymark used at Cape Hatteras. The small building attached to the base of the tower originally housed a keeper’s office on one side and an area for storing the large drums of lard oil, used in the lighthouse’s lamp, on the other. After the light was converted to kerosene, a new brick oil house was built a safe distance away from the tower in 1890 to contain the more volatile fuel. 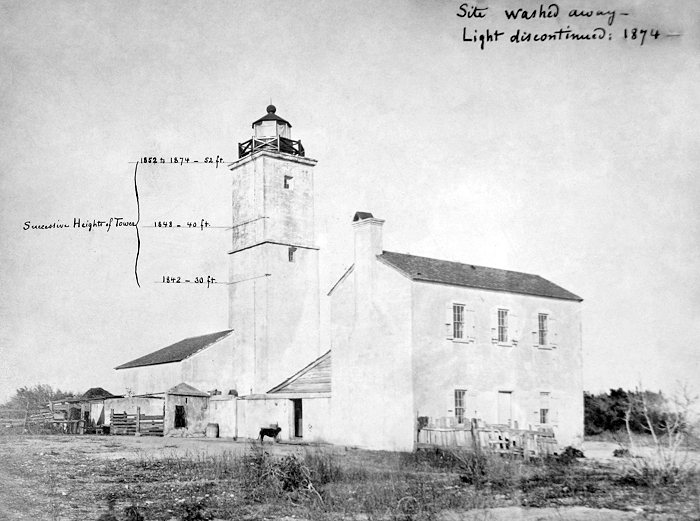 While work was underway on the new tower, the Lighthouse Board submitted the following report: “A keeper’s dwelling will be required, as there are not sufficient or proper accommodations at the old lighthouse for three keepers – the number required to attend a first-order light-house – and the distance is too great from the new tower to insure proper attendance, even if the present dwelling were suitable.” Congress appropriated $20,000 on June 23, 1874 for construction of a keeper’s dwelling at the new tower and for building jetties to protect the old site. The keepers continued to live at the old lighthouse until a duplex, built just east of the new lighthouse, was finished in 1875. The head keeper lived in the north side of the new dwelling, with the first assistant in the south side and the second assistant making do with two small rooms located on the top floor between the two sides. The keeper’s bedrooms were located upstairs, while downstairs each side had a dining room on the west and a parlor on the east side. Constructing the new lighthouse proved to be a prudent move as the old tower toppled into the sea on August 22, 1880. September 23, 1887 Schooner Dream went on sand bar near old lighthouse at 3 AM. Nine passengers rescued by keepers. Lost anchor, sails, and small boat. Vessel floated off in damaged condition. November 13, 1890 At 5 PM, the steamer Star Spangled Banner foundered on the bar. A total wreck. Crew were rescued by keeper. Just preceding the shock was a noise like a strong wind. The first impression of every one was that a squall had arisen, until looking out it was found to be perfectly calm; scarcely a breath of wind was blowing. 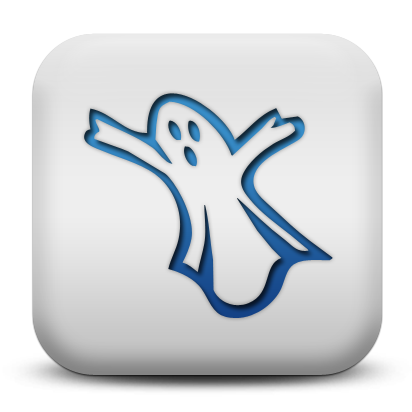 The movement was from southeast to northwest ; the shocks were felt by all persons residing on the island. The windows and doors rattled loudly and bird-cages swung violently. The motion was undulatory. Just before the shock the chickens cackled as if disturbed, and just after the first shock all the dogs in the vicinity of the station barked in an alarmed manner. The sky was clear and the stars were shining brightly. The sea was very quiet. Several persons were made sick by the motion of the earth. 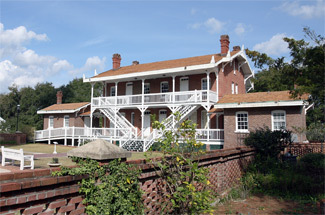 In 1888, brick kitchens, measuring fourteen by sixteen feet, were built on either side of the keepers dwelling to replace two unsightly frame structures. That same year, a tin roof replaced the shingles atop the oil house to protect the structure from fire. Life at the station was full of varied activities for the keeper’s children. One noted story involves Cardell “Cracker” Daniels, son of Keeper Cardell D. Daniels. Cracker would regularly use the tall tower in his backyard as a launching pad for his model airplanes and parachutes. After safely parachuting several inanimate objects off the tower, Cracker decided it was time for a live experiment. Cracker’s sister, Wilma, had a cat named Smokey, who was selected as the paratrooper. After a couple of practice descents from lesser heights, the reluctant cat was tossed from the top of the tower with the parachute strapped to its back. When the frightened feline reached the ground, it bolted from the area. Unaware of Cracker’s antics, Wilma searched far and near for her cat over the next several days. A month passed before Smokey finally returned home, but it wasn’t until several years later that the family learned the reason for the cat’s disappearance. The keeper’s dwelling was electrified in 1925, but the tower was not wired up until 1936. Electricity lessened the keeper’s responsibilities, eventually leading to the de-staffing of the lighthouse in 1955. Local lamplighters were subsequently employed to polish the lens and switch the light on and off, and the dwelling was rented out for several years. David Swain, a former assistant keeper at the lighthouse, filled the role of lamplighter from 1956 to 1968. Full automation of the light occurred around 1971, when a sun relay was installed atop the tower to activate and deactivate the light. In the late 1960s, the dwelling was boarded up, declared surplus, and put on the auction block. St. Johns County was negotiating the purchase of the dwelling when it was completely gutted by an arson fire on July 28, 1970. 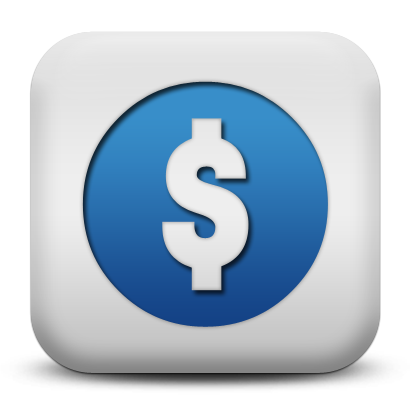 The fire did reduce the purchase price, but made restoring the structure a daunting task. The county considered tearing down the dwelling, but the Junior Service League of St. Augustine, founded in 1935 by a group of women interested in improving social, educational, and cultural conditions of St. Johns County, offered to take on the restoration project in 1980. Eight years later, the dwelling was opened as a maritime museum. 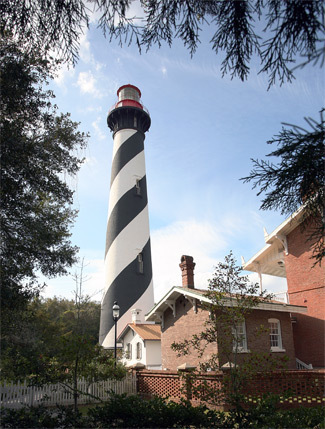 In 1990, the Junior Service League signed a lease with the Coast Guard for the lighthouse, and the following year the tower, equipped with safety features, was opened to the public for climbing. In 1986, bullets shot from a .30-06 rifle shattered nineteen prisms in the historic Fresnel lens. Hank Mears, who served as caretaker of the light from 1968 to 1989, called the FBI, and the ensuing investigation found powder burns on a nearby palm tree. The FBI eventually found the fourteen-year-old responsible for the shooting, but the senseless act led to the lens being taken out of commission in September 1991. An airport beacon was placed atop the tower, while the options of removing the lens or repairing it were debated. Fortunately, a grant was obtained, replacement prisms and a bull’s-eye panel were recreated, and the lens resumed operation on May 22, 1993. 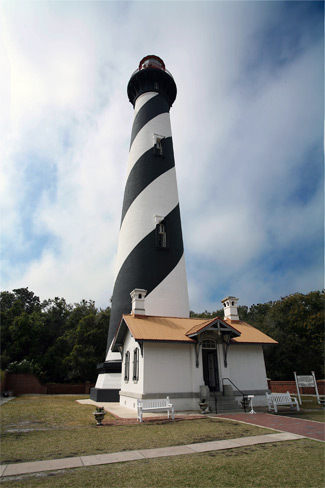 The St. Augustine Lighthouse & Museum was incorporated as a separate entity from the Junior Service League in January 1998, and a new visitors’ center was added to the site in 2000 to help accommodate the large crowds who come to learn about the lighthouse and to climb to the top of the tower for the expansive view. 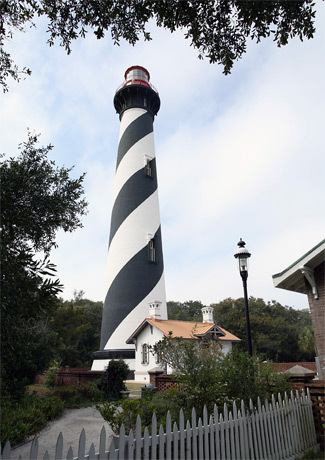 The lighthouse was awarded to St. Augustine Lighthouse and Museum in 2002 under the provisions of the National Historic Lighthouse Preservation Act of 2000. Head: Juan Antonio Andreu (1824 – 1849), John Carreras (1849 – 1853), Robert Mickler (1853 – 1854), Joseph J. Andreu (1854 – 1859), Maria Mestre de los Dolores Andreu (1859 – 1862), Siladonia Pellicier (1867 – 1873), Alexander R. Rose (1873), William W. Russell (1873 – 1875), Francis P. F. Dunham (1875), William A. Harn (1875 – 1889), Joseph Rantia (1889 – 1901), Peter Rasmusson (1901 – 1924), John Lindquist (1924 – 1927), Clarence Malloy (1927 – 1935), Cardell D. Daniels (1935 – 1943), Isom D. Goodwin (1943 – at least 1951), James L. Pippin ( – 1955). 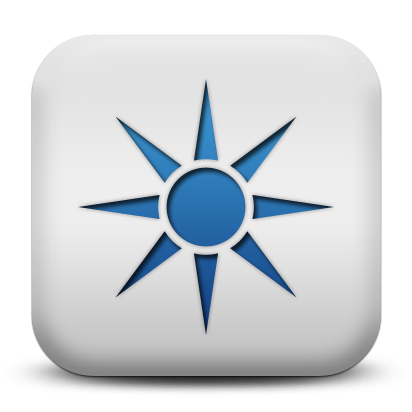 First Assistant: James A. Mickler ( – 1861), Francis P.F. Dunham (1874 – 1875), Philip J. Canova (1875), Daniel J. Mickler (1875 – 1878), John T. Edwards (1878 – 1881), William H. Russell (1881), John P. Wragg (1881 – 1882), Charles A. 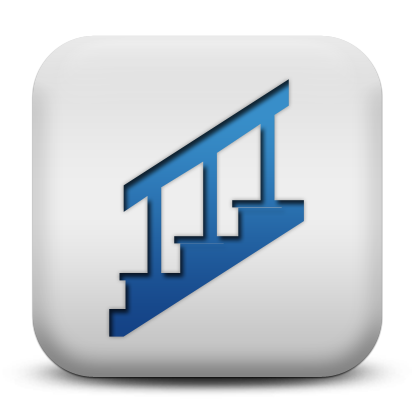 Segue (1882 – 1883), Joseph Rantia (1883 – 1889), Jerome Lopez (1889 – 1890), Amos Buford (1890 – 1893), John Lindquist (1893 – 1901), Douglas M. Enslow (1901 – 1913), James Smith (at least 1915 – at least 1917), Clarence Malloy (at least 1919 – at least 1921), John A. Robertson (at least 1930), David Swain (1933 – 1944). Second Assistant: Alexander F. Canova (1873), Hastings Gifford (1873 – 1874), Eugene Hernandez (1874), John W. Bridier (1874), Philip J. Canova (1875), Daniel J. Mickler (1875), Matthew F. Mickler (1875), Hartwell V. Graves (1875 – 1876), Lewis R. Hite (1876 – 1877), John T. Edwards (1877 – 1878), Reuben Pinkham (1878 – 1879), William H. Russell (1879 – 1880), Samuel Woodall (1880), William H. Russell (1880 – 1881), Charles A. Segue (1881 – 1882), Robert J. Edgar (1882), S.L. Morgan (1882), Joseph Rantea (1882 – 1883), William R. Rowlinski (1883 – 1884), John L. Stuck (1884 – 1887), Daniel J. Mickler (1887), Jasper N. Higgenbotham (1887 – 1888), Jerome Lopez (1888 – 1889), Kate H. Harn (1889 – 1890), Amos Buford (1890), Hans Neilson (1890 – 1891), James A. Pine, Jr. (1891 – 1893), Joseph S. Estell (1893 – 1896), Douglas M. Enslow (1897 – 1901), Thomas J. Bundrix (1901 – 1903), John E. Eriksson (1903 – 1906), Arundius T. Jackson (1906 – 1911), Cardell D. Daniels (1911 – 1914), Dossy M. Davis (1920 – 1921), Edward L. Meyer (1923 – 1926), John N. Vick (1926), Alphonso C. Daniels (at least 1930), Kit C. Goodwin, Jr. (at least 1935). 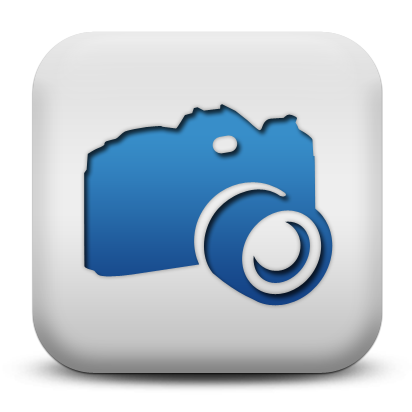 Located at 81 Lighthouse Avenue, Saint Augustine, FL. 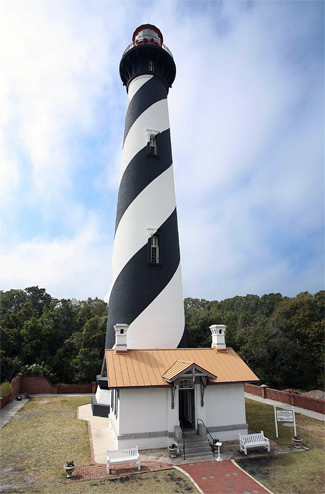 For a larger map of St. Augustine Lighthouse, click the lighthouse in the above map. From the South, take Exit 311 from Interstate 95 and travel northeast on SR 207 for 3.5 miles. Turn right onto SR 312 and continue east for 3.5 miles. Turn left onto A1A and proceed north for 1.4 miles then turn right onto Red Cox Road. St. Augustine Lighthouse will be on your left. 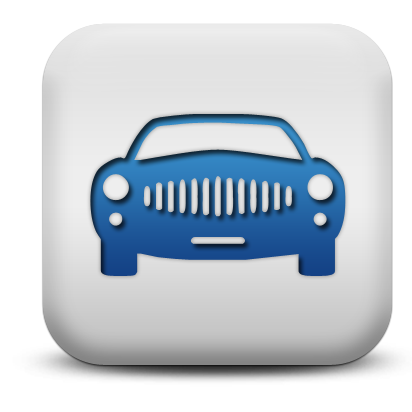 From the North, take Exit 318 from Interstate 95 and travel east on SR 16 for 5.5 miles. Turn right on San Marcos Avenue (just after U.S. 1) and travel south. San Marcos Avenue will pass Castillo de San Marcos and become A1A. Take the Bridge of Lions over the river and continue on A1A. Turn left onto Red Cox Road, and the lighthouse will be on your left. 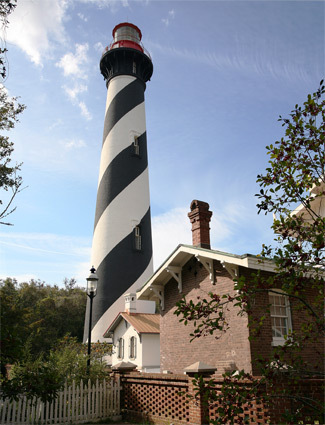 St. Augustine Lighthouse opens daily at 9 a.m. and typically closes at 6 p.m., however, in July and on many holidays, the closing time is extended to 7 p.m. The lighthouse is closed on Thanksgiving and Christmas. 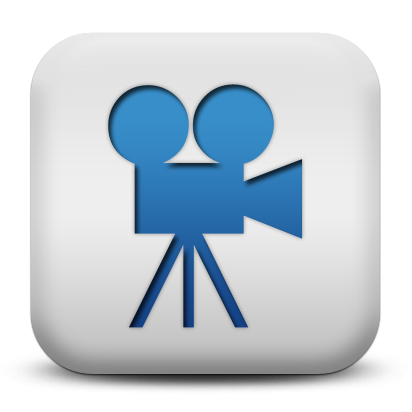 For more information, please call (904) 829-0745. 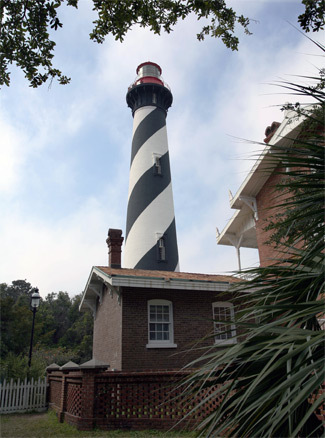 The lighthouse is owned by the St. Augustine Lighthouse and Museum. 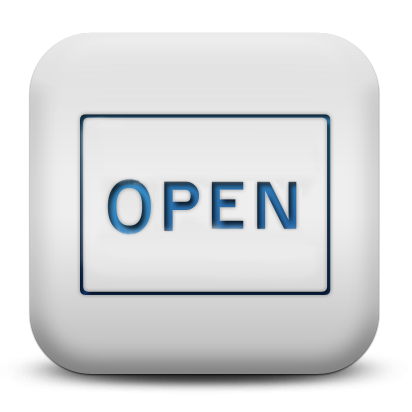 Grounds/tower/dwelling open. People traveling to visit lighthouses is not a new thing. 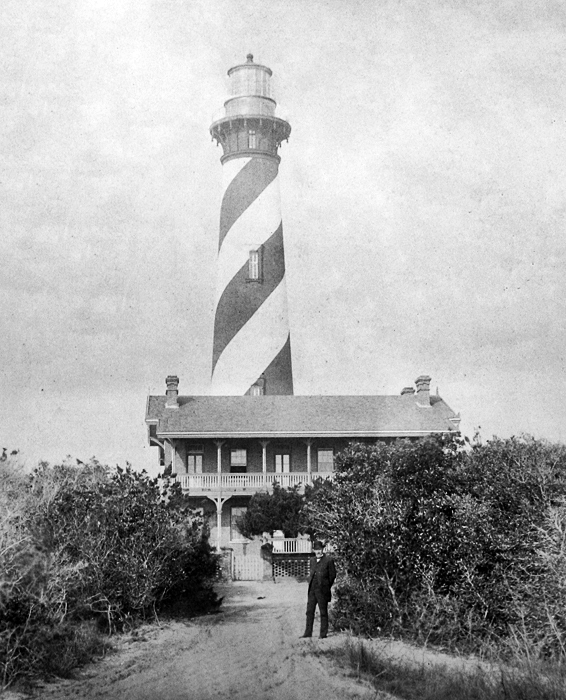 The keeper at St. Augustine submitted the following report on visitors to the lighthouse: "Complying with your instructions, I herewith submit as tabulated below the number of visitors registered at this Light Station during the years 1908-1912 inclusive, viz: 1908, 4,000, 1909, 4,5000, 1910, 8,500 and 1912, 8,500. Three months of 1913, 5,500. There has been a steady increase from 1,500 in 1901. These numbers represent about three fourths (3/4) the actual number visiting the Station, as easily one fourth (1/4) gets away not registering, it being impossible to watch all of them." The wonderful museum in the keeper's dwelling and the eye-catching daymark of the lighthouse continue to draw visitors to the site. In fact, the number of people visiting the lighthouse these days far exceeds the tallies from a century before. 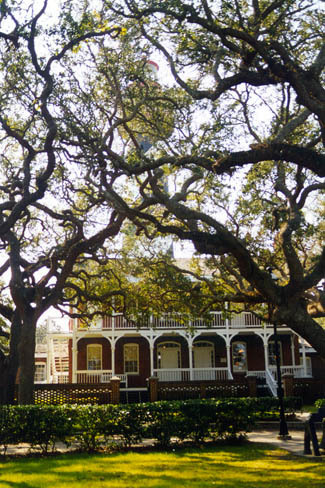 St. Augustine lighthouse can be seen in the movie "Things That Hang from Trees."